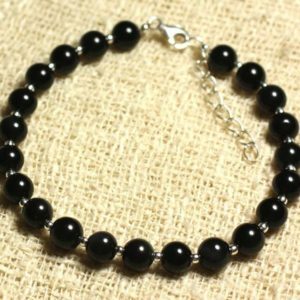 Shop genuine healing rainbow obsidian bracelets, including the popular stretch beaded stone bracelets. 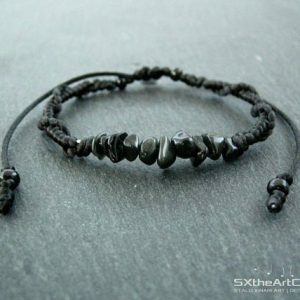 Rainbow Obsidian Bracelet Meaning Rainbow Obsidian helps one take the journey to the root cause of emotional distress in order to resolve it. It acts by being a bridge to bring Light into wounded and dark places, allowing them to heal. 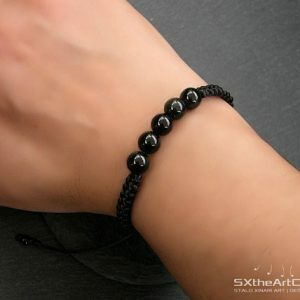 Like black obsidian, it also clears and purifies the aura. Visit Rainbow Obsidian Meaning & Properties for more about the benefits of rainbow obsidian. 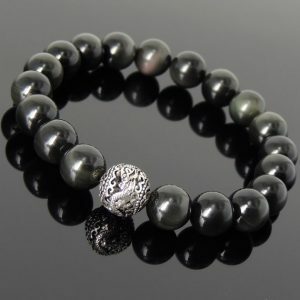 Silver Plated Skull/Rainbow Obsidian Beads Yoga Mala Bracelet. 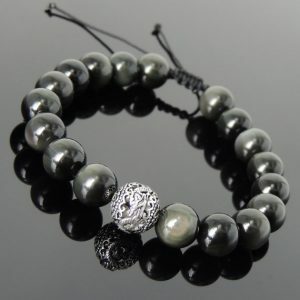 Healing Natural Gemstone Bracelet. 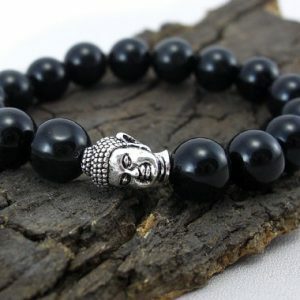 Stretch Bracelet. 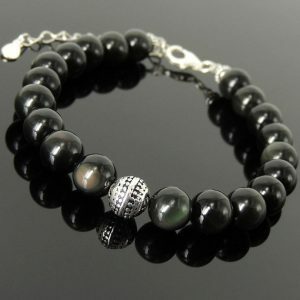 Thank you for shopping for Rainbow Obsidian Bracelets! Rainbow Obsidian healing properties include: emotional healing, meditation, mental health, purification. 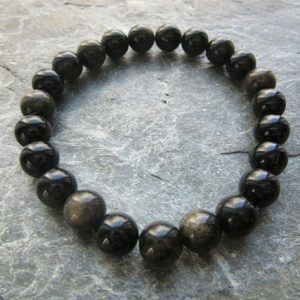 We have scoured Etsy to find the best genuine rainbow obsidian bracelets. We look for handcrafted & handmade, unique, OOAK, & high quality natural gemstones.